The Barnevelder was developed by the Dutch in the town of Barneveld. 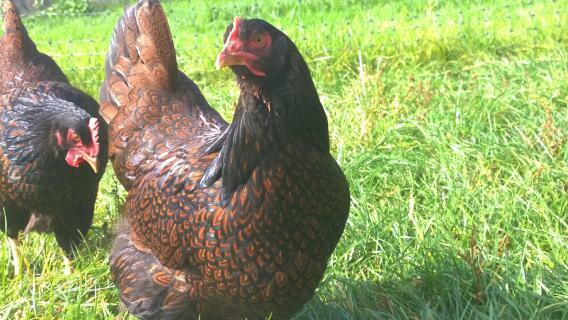 The intention was to develop a hen that was both hardy and would produce eggs that were brown in colour. Also one that would be able to be sold in the UK. 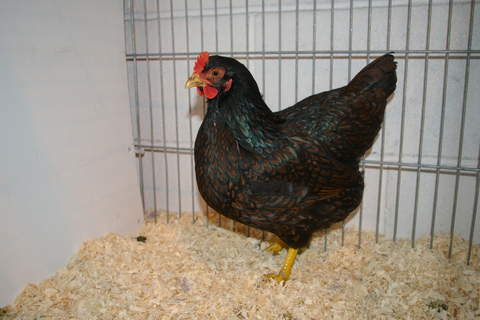 The breeds that made up the Barnevelder were very carefully chosen. 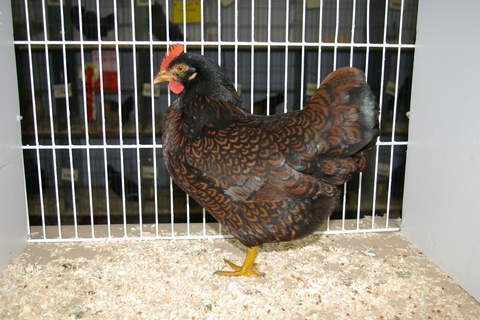 A Dutch fowl crossed with a Langshan, Brahma and Cochin. 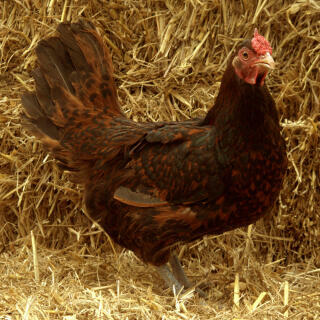 Most of the Barnevelders have long disappeared. The ones still around do lay quite well as long as they are not allowed to get fat! 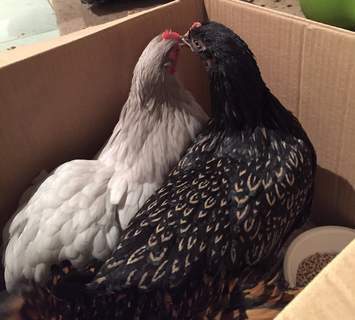 They are lazy chickens! So for that reason they do need to be kept free range so that they are well exercised. 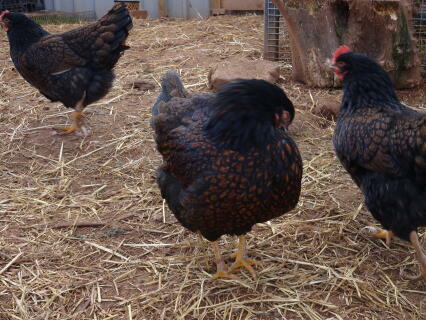 The chicks produced are yellow in colour and are quite slow at growing their darker feathers which come later. 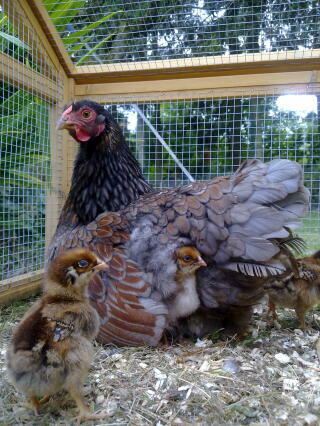 The hens do go broody often but this makes them a docile chicken and a good mother. 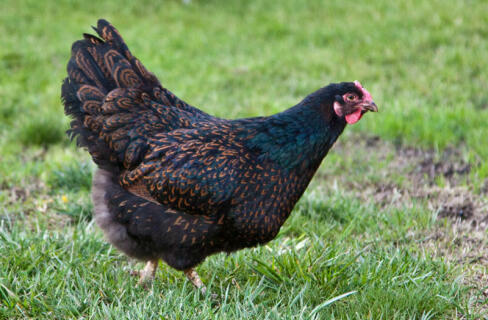 There are several standard colours of Barnevelder. Black, double laced, partridge and silver. All varieties have very prominent orange eyes and very yellow legs. 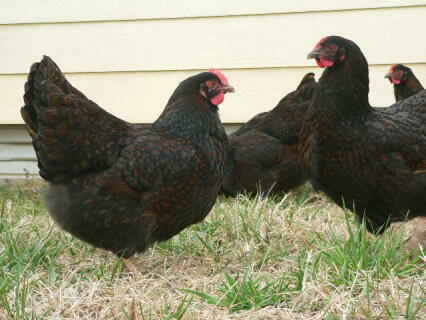 They are hardy birds and good layers of large brown eggs. We have raised Barnevelders for eight years now. I have to say they are a wonderful breed to have. We free range ours, but they do not stray far. 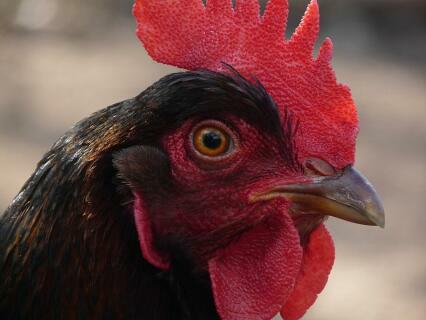 They are a very friendly breed, even the roosters are friendly. They have beautiful feathers and people always stop to look at them and comment on how pretty they are. I have one barnevelder in my flock and she is very friendly towards people and will let me pick her up and give her a hug. 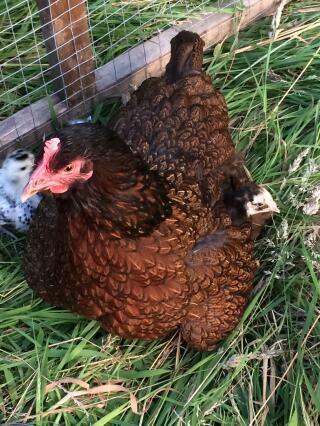 Her feathers are beautiful and she lays a nice dark brown egg nearly every day. 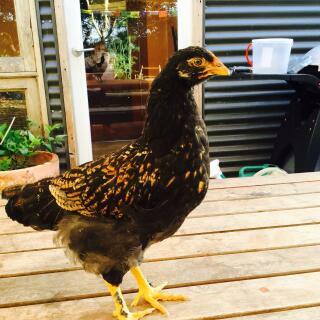 She is also quite large and has very soft and fluffy feathers. We came across this breed by accident when I bid for them at auction & as they were late entries & one of the last lots I put in a silly bid and stole them. Wow what a bird. 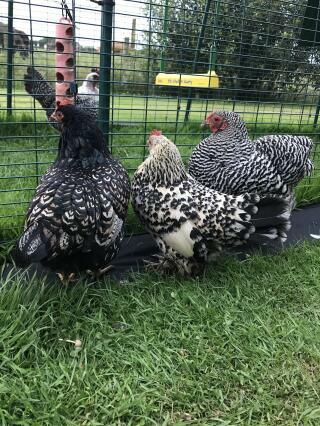 We were aware that one bird was older and had a very happy 8 months with us but the other is still a firm favourite in our mixed folk of Pekin, Sussex, Belgium de'Uccles & cuckoo Marans all Bantams. The Barnevelder is a stunning bird who seems to get on with life and is well respected by the flock, without being a bully. 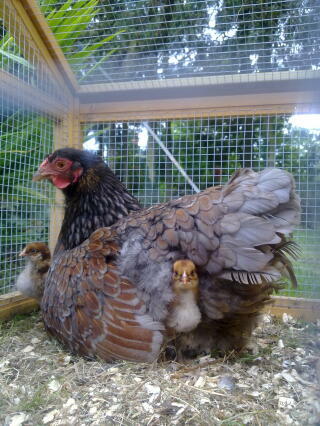 She never goes broody although she does fade in all aspects of colour and personality when in moult. When we got her she had grey scaley legs which my little girl treated with petroleum jelly every other day. 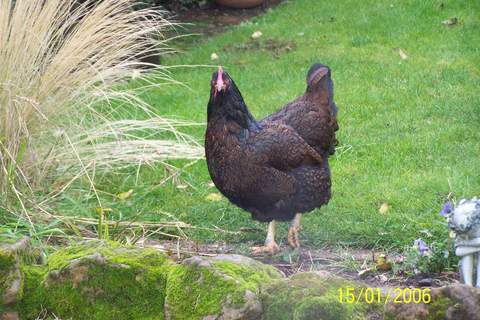 She has reacted well and now has the most glorious bright yellow legs and is fit for showing this summer. 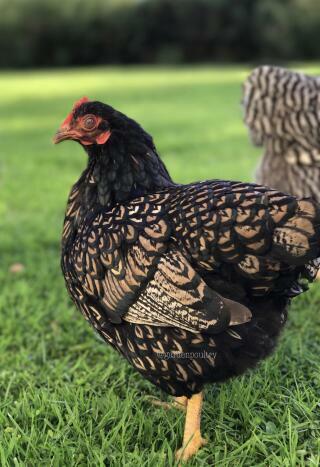 We are currently waiting to take delivery of some silver laced along with the double laced eggs because we love them and my little girl put them on her 8th birthday wish list.